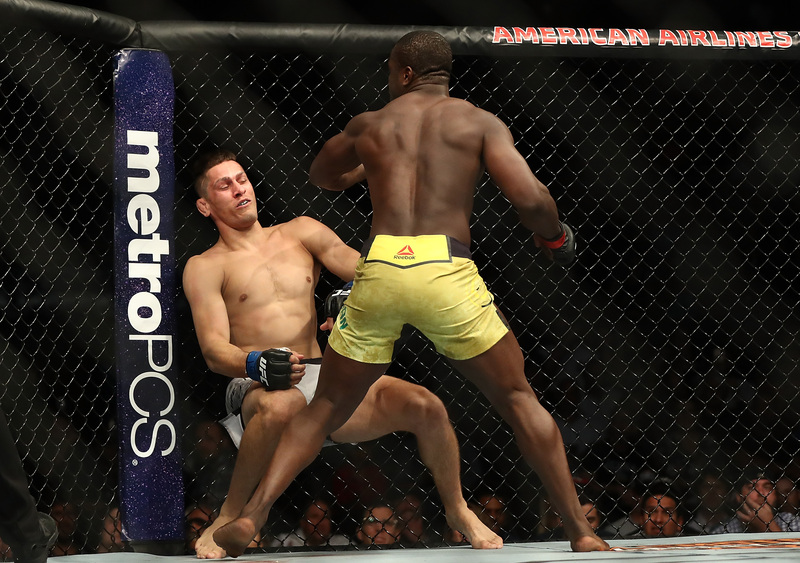 Kicking off the night on Saturday night was a Welterweight tilt pitting Abdul Razak Alhassan against Niko Price. Abdul Razak Alhassan kicked things off with a bang! The undefeated phenom needed just 43 seconds to turn Price into a folded deck chair, earning a brutal first-round knockout victory to start off the apparent weak PPV portion of the event. 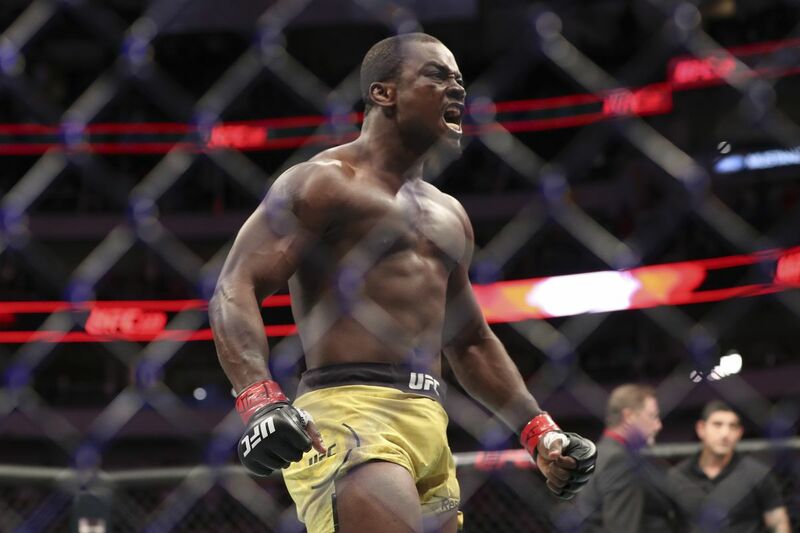 The rising UFC 170-pound contender improved to an excellent 10-0 professional MMA record with all ten wins coming by knockout in the first round following his victory at UFC 228 on Saturday night. Niko Price was given the opening PPV slot after hammering Randy Brown with hammer fists from the bottom, a result which went viral across the internet. 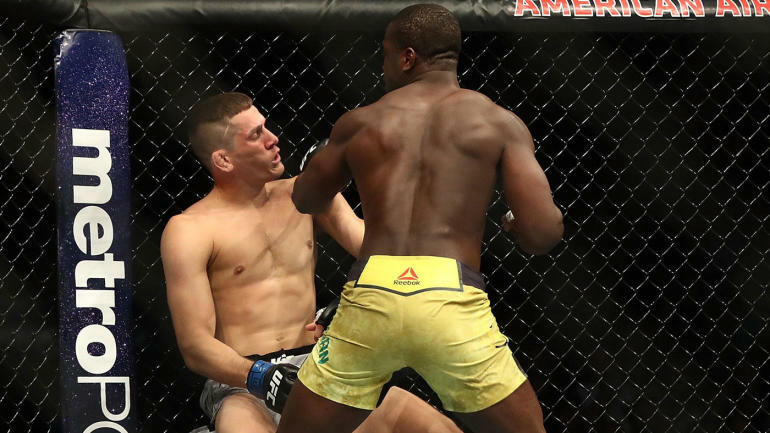 Niko Price and Abdul Razak Alhassan were both deadly prospects in the UFC’s 170 pound division heading into UFC 228. Both on two fight win streaks, Niko Price was 4-1-1 in the UFC with all four wins being finishes. Alhassan on the other hand was 3-1 in the UFC with all three being knockouts. Going into the fight many assumed there was going to be a finish, even Niko himself said one of them would be going to sleep. Easy call, right? And a finish there was — an amazing knockout by Alhassan. The opening round started with both fighters swinging for the fences. Price came forward and seconds in landed a really crisp right hand that backed up Alhassan, which may well have woken him up, or made him angry. However, moments later Alhassan would push forward and start landing punches; he soon connected with some serious blows. Price was on the cage, and a left eventually crumpled him like a deck chair. Wow. Wasting no time whatsoever, Abdul Razak Alhassan had arrived. The finish of Price came in under a minute. 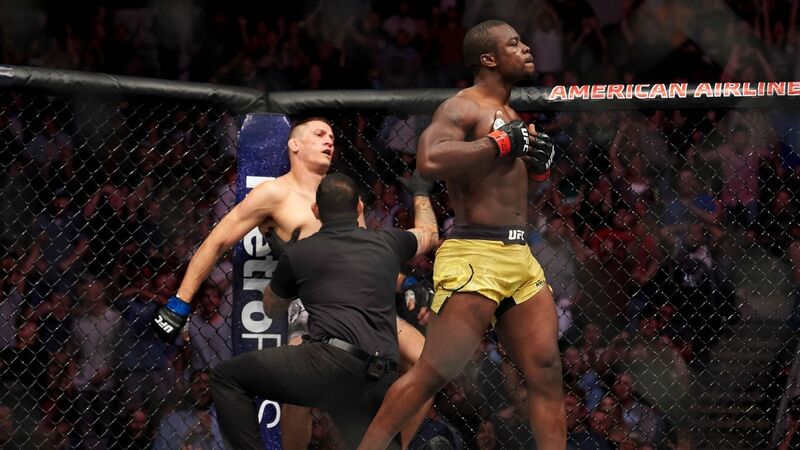 Despite only having five fights in the UFC it’s very easy to see Abdul Razak Alhassan’s potential in the promotion. Another victory via knockout for him, and the UFC was immediately on top of it. One has to figure that he’ll get a ranked opponent next at welterweight, and with this win he will likely break into the top 15 at 170 pounds.